Big and dangerous surfed arrived today up north. Saw some tourists taking photos then a dog started running in the water. Strong currents could have easily took this dog out to see. 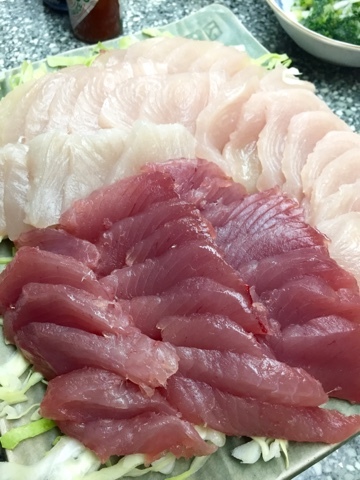 More sashimi for the holidays. 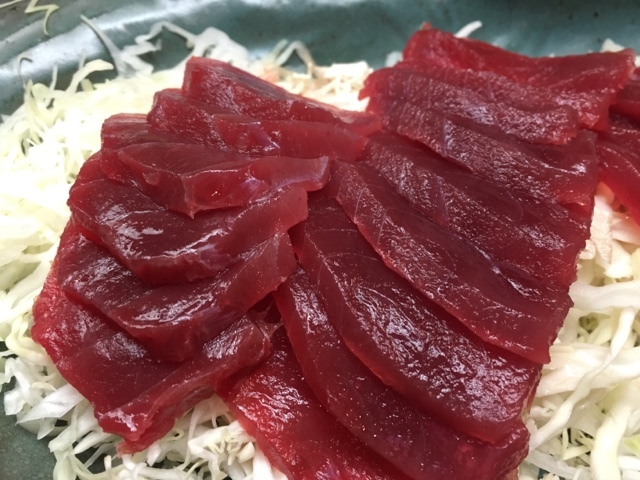 It was an awesome year of epic surf on our south shores, uncrowded perfect waves on our trips, big fish came up diving and of course our best ahi season ever! 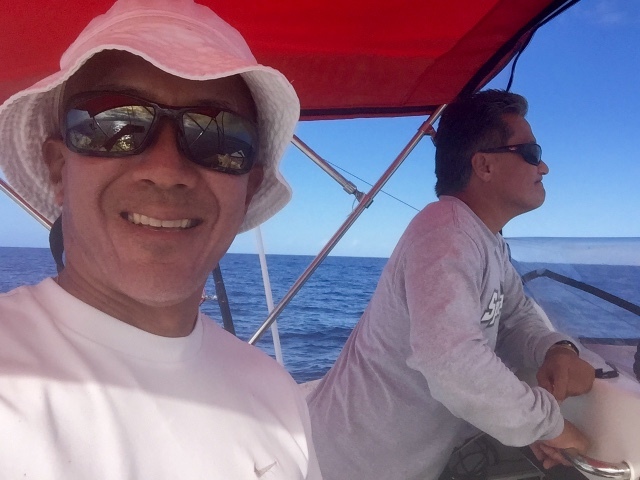 Mahalos to our family, friends and sponsors who allow us to make people's dreams come true. Have a happy and healthy new year! Happy birthday uncle Joe! 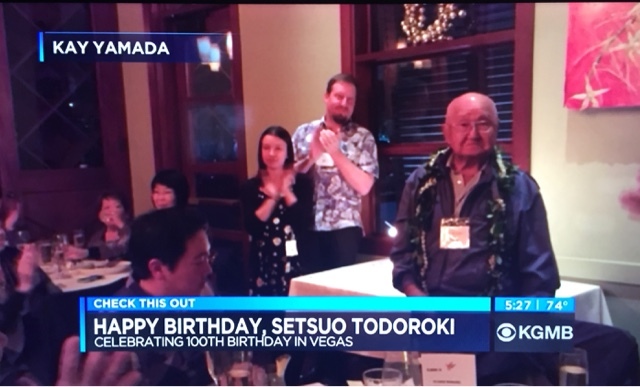 A role model to all my family, Setsuo "Joe" Todoroki lives loves and learns to be the best at 100 years old today. 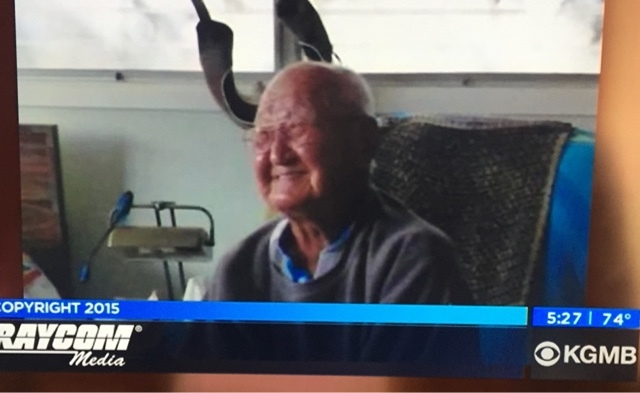 Turned on news and happy to see this clip for all of Hawaii to see. He blessed me with his pride and joy, his first boat which allowed me to catch lots of fish for my family and friends. Happy birthday! 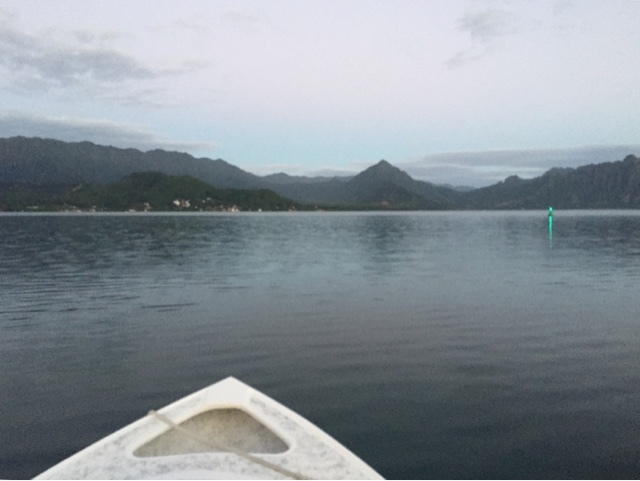 Let's go fishing! Lots of big waves on the way up north for next 10 days. 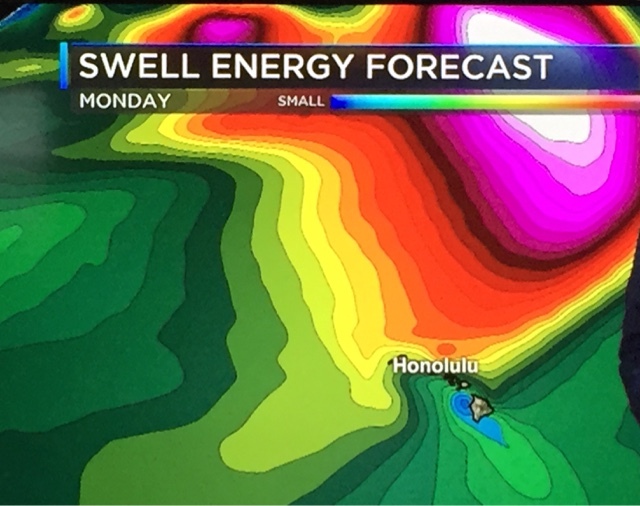 El Niño in full effect. 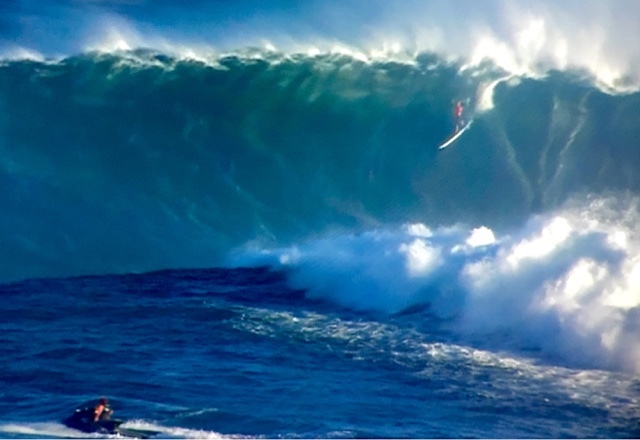 Surf safe as you start the new year. Winds were dead calm this morning so plan was to head out Eastside for a troll. But everyone had the same idea. 600 am and the pier was packed. I thought there was a fishing tournament today. 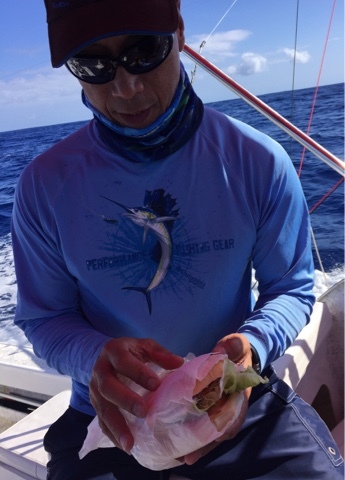 Wendell Ko joined me and Al Ah Nee and got to try the famous Ah Nee Sandwich. Got some kau kau for this week, akus and shibis. 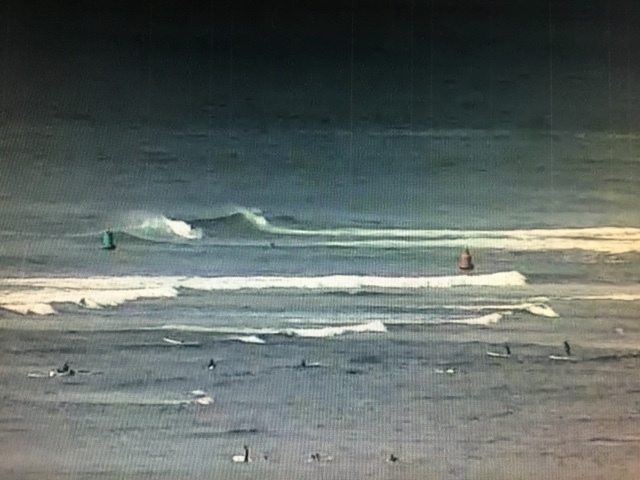 Fading south swell today with peak crowds at noon. Worked and waited for the window to open up. Got a few fun ones with one other guy out at 4 pm. 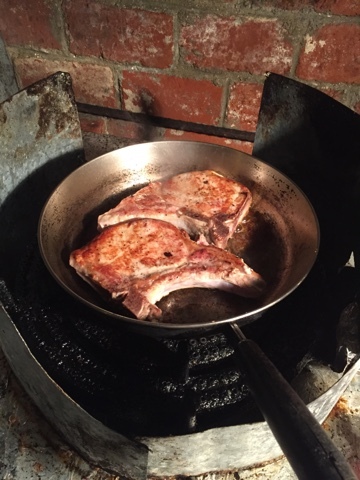 Came home fried some pork chops and loaded up the Red Sea boat for tomorrow's adventure. 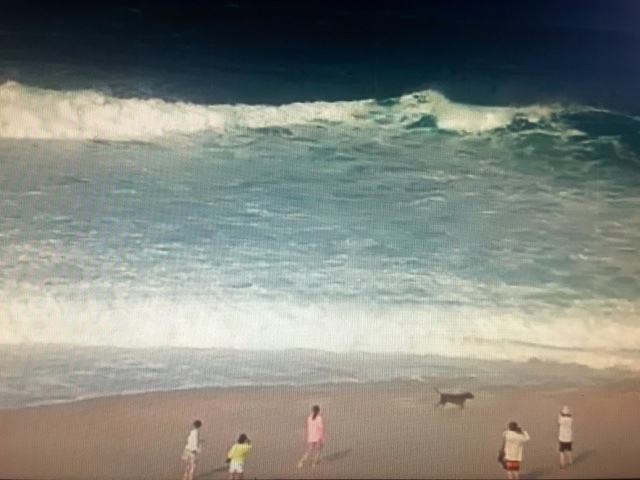 Winds expected to drop and waves should be little smaller so may see what's swimming in the oceans super market. Swells arrived but conditions not the best. Morning sickness, crowded with super high tide but should get better later. I like clean, empty and low tide. Work first play later. Rain, wind, noise or bad weather..,no problem. 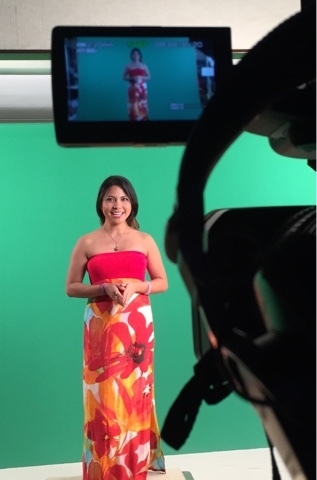 Filming today in front of the green screen with Merlinda Garma. 1030 high pressure setting in boosting winds for the weekend. 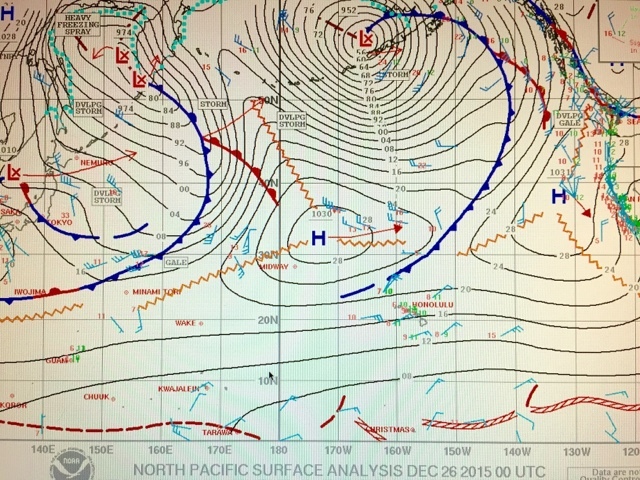 New swells from northwest and south should build on Sunday while winds slow for midweek. Last week of 2015 so plan your week accordingly. 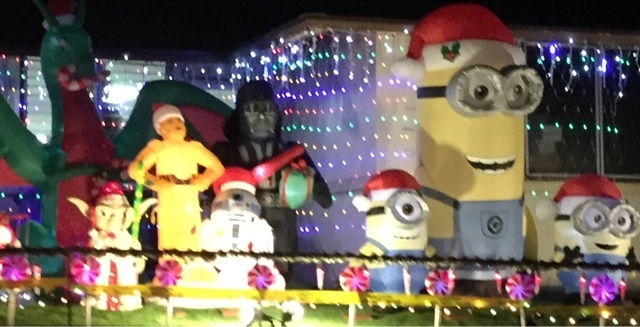 Melekalikimaka everyone! 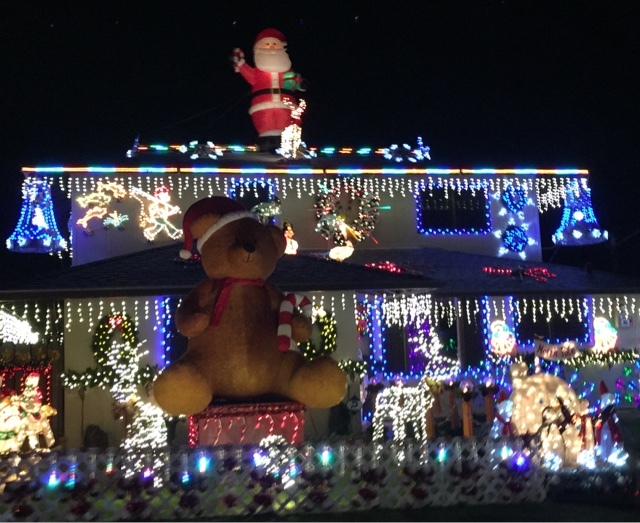 We went to check out our neighborhood Christmas lights. 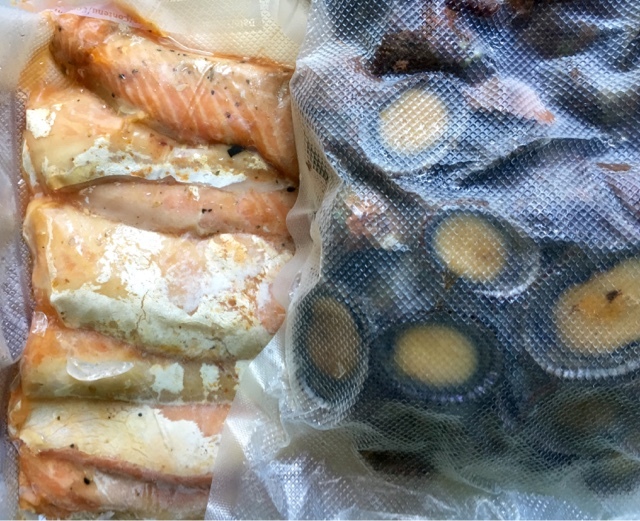 My friend Shawn Kodani dropped off some smoked salmon and fresh gold opihi for my ohana. Looks so Ono! Mahalos Shawn! 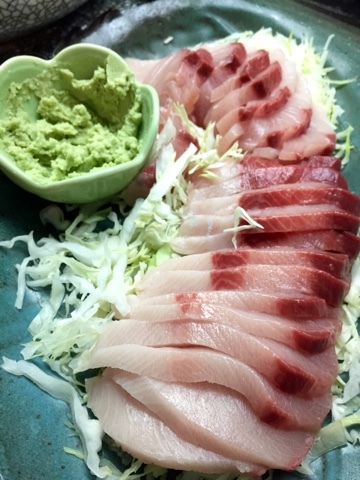 Japan hamachi melts in your mouth not in your hands. Oishii desu! 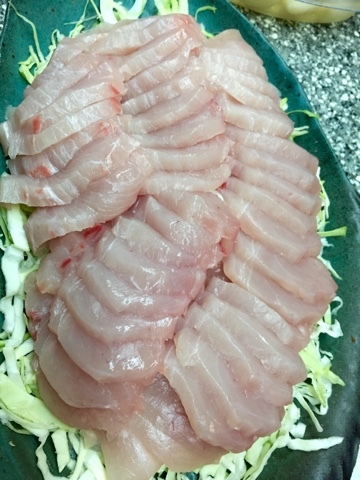 Fresh hamachi from Japan "bought not caught". Sampled a slab the other day and had to go back for more. There's a limited supply being brought in at Times super market for the holidays since I bought um all. Ha ha! OMG! One word summarized last nights Miss Universe 2015 is "Awkward". Comedian Steve Harvey messed up big time crowning Miss Columbia when the winner was Miss Philippines. The emotions that must have gone through the roof between everyone was crazy. Check it out! 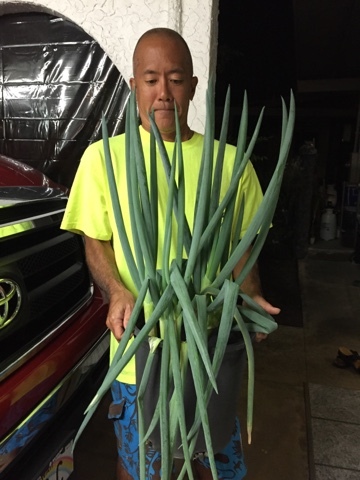 Check out the biggest green onions I've ever seen. Made in Japan. 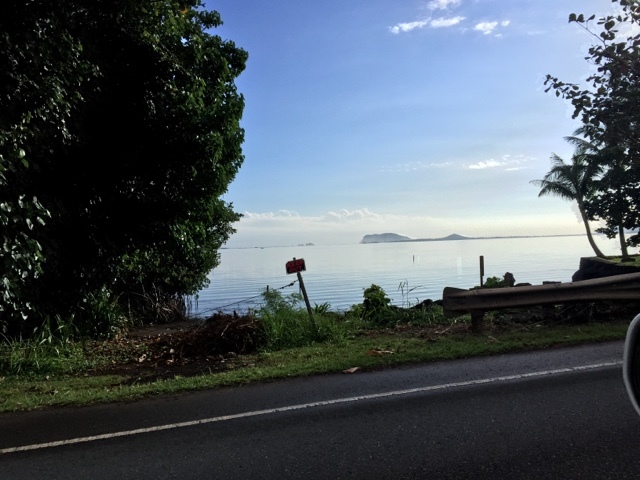 Going to have to catch some giant fish for make poke? Perfect Christmas gift! Red Sea cloth works like magic. Just add water and wipe and clean. 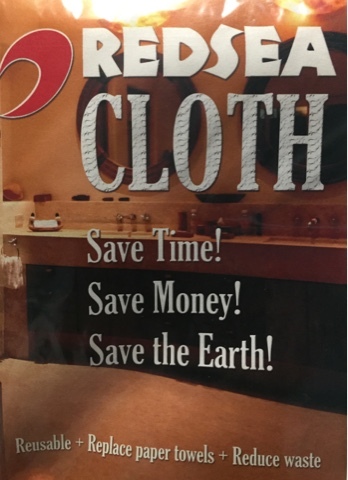 No more windex, environmentally safe this nano fiber cloth is amazing! For more info contact me. 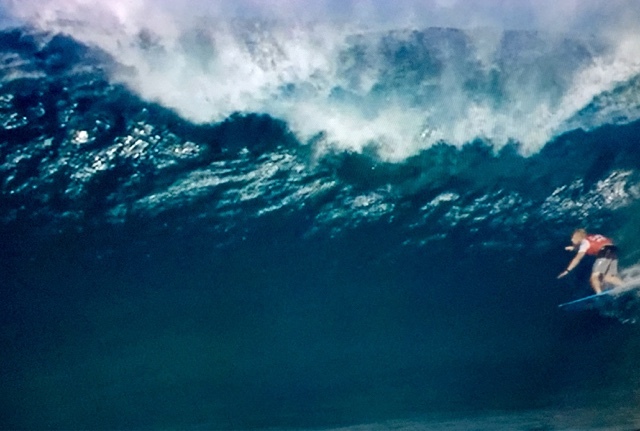 Kelly Slater just announced his new wave pool. Not sure where it is located but sure looks fun! Not much surf in store this week except windy shopping weather. Be safe out there with all those crazy shoppers and have a happy holiday season. 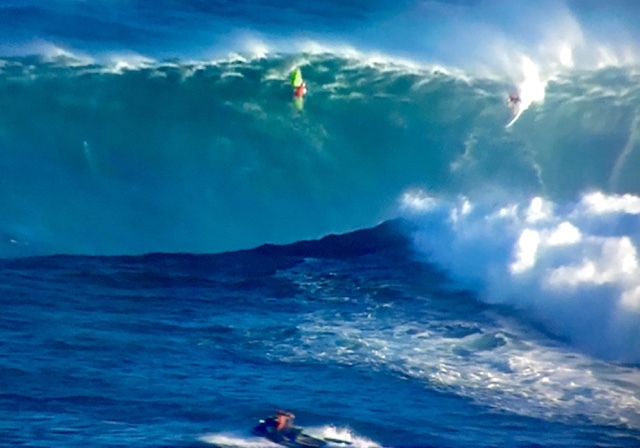 Pipe masters finals day is here! 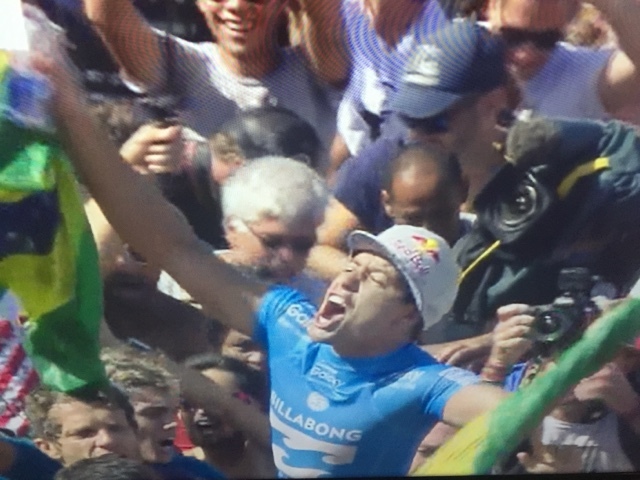 The working mans surfer Adriano De Souza wins the world title over Mick Fanning. 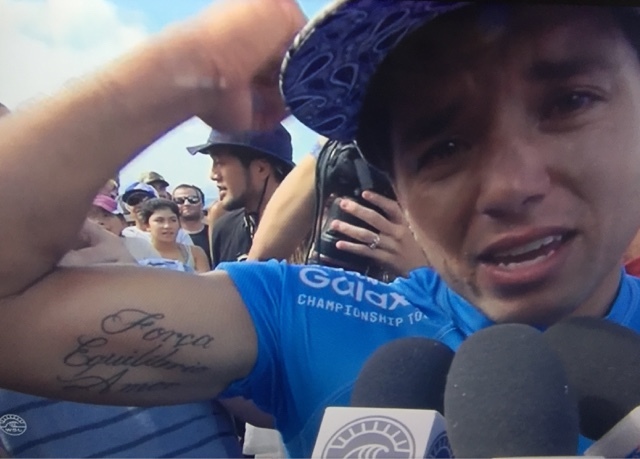 He dedicated his win to his older brother Ricardo De Santos who passed away and bought Adriano his first surfboard for $7.00. His secret was strength, balance and love tattooed on his right arm. 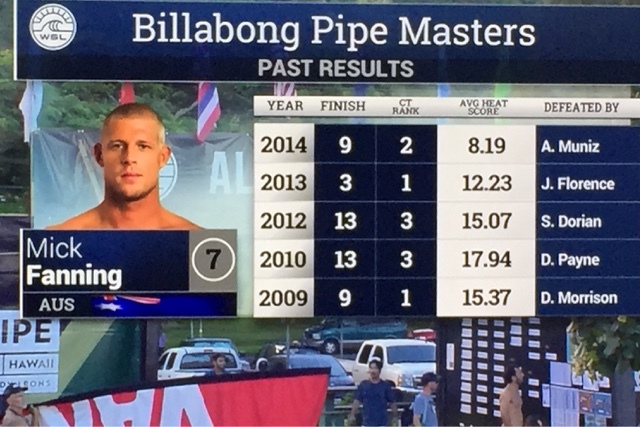 Pipe masters is on! Big sketchy waves. 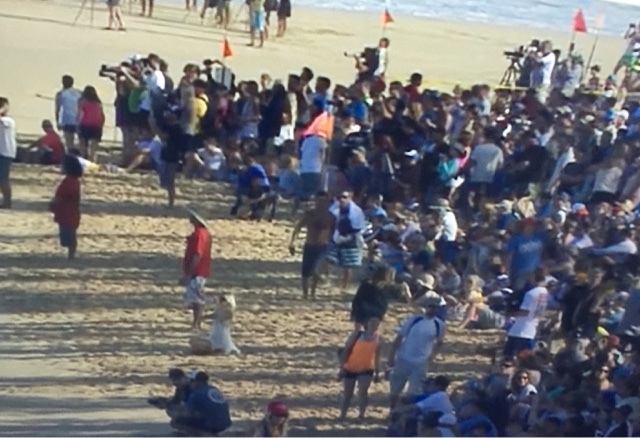 But the heat with Mick Fanning was crucial. He made it thru round 3. Now pressure is on Felipe Toledo. Tbd. 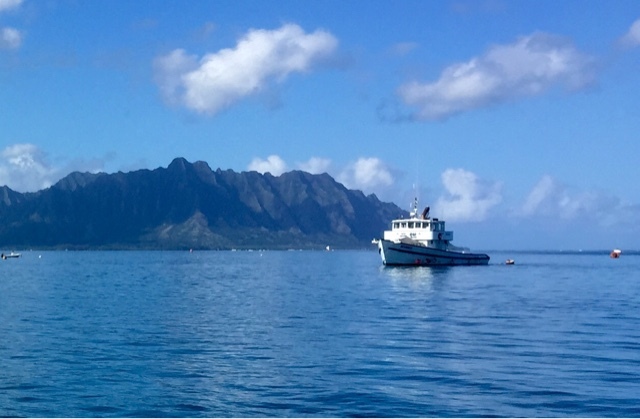 Yesterday we heard someone got hurt by a marlin. My dad was at the harbor as his worried mother was there along with the ambulance. Well Russell Ching got poked by a marlin and this is no joke. 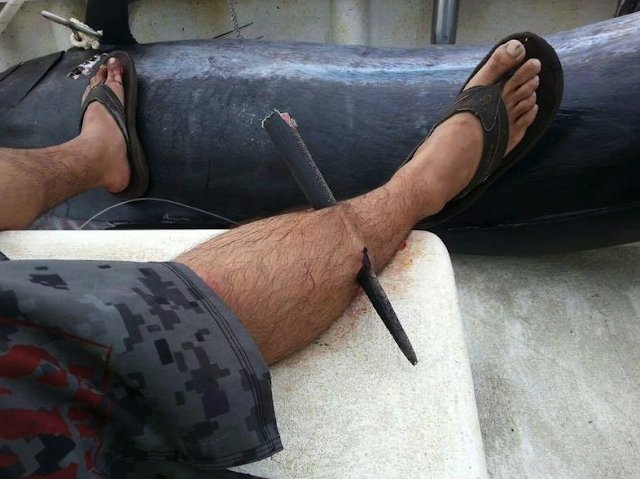 Be careful when you boat a billfish because these guys are dangerous! 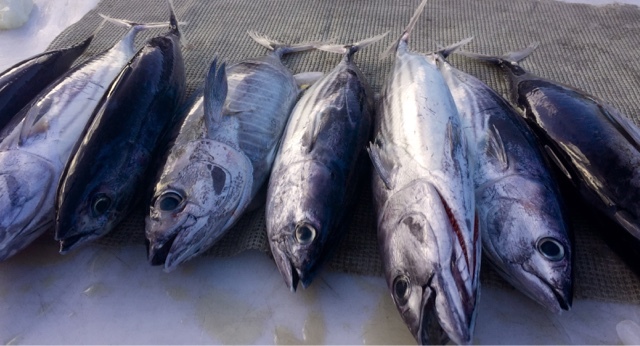 If you catch one make sure you dispatch the fish outside the boat and don't bring in the boat until its all clear and safe. We wish him a speedy recovery! 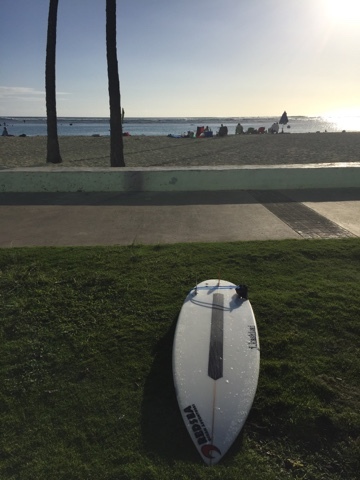 Woke up early to beat the dawn patrol crowd at the harbor. Light winds, weekend, sandbar meant Lotsa boats. Al and I went out to look for our dinner at the oceans icebox. It's kind of exciting because you never know what's going to come up. 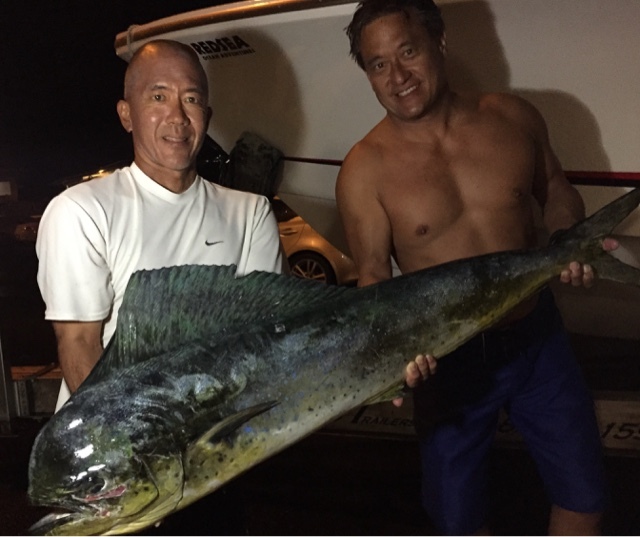 We got lucky landing our biggest mahi to date. It did everything it could to escape and almost took off Al index finger at leader as he was hand lining without gloves. 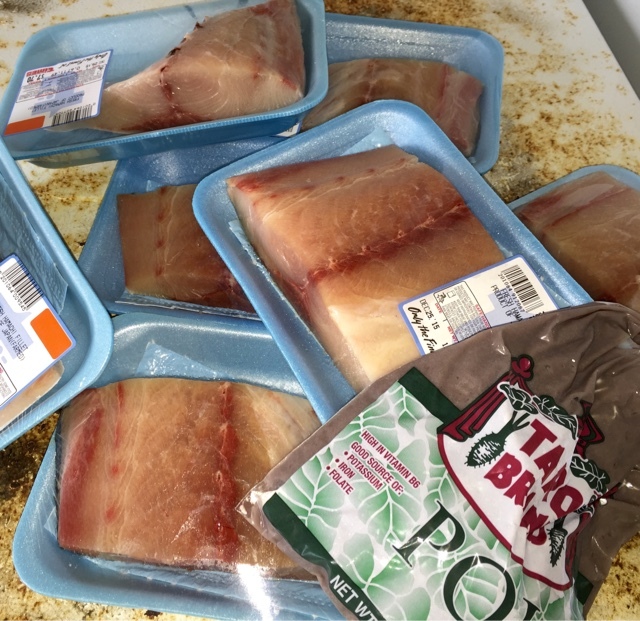 Fresh mahi on the menu for the rest of the week! Kbay looked glassy so took a drive up north again. Morning session was overhead but crowded. Weekend warriors for ocean therapy. Checked out marukai in afternoon. 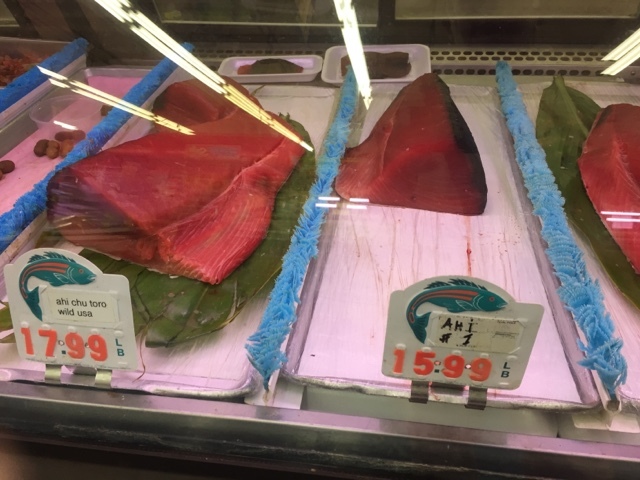 Wow sashimi prices are steep, maybe better go to the ocean market instead? Lots of fun surf up north while south remains small. Got to grab a few this afternoon with my Tokoro. Surf should drop this weekend but another swell should pick up midweek. 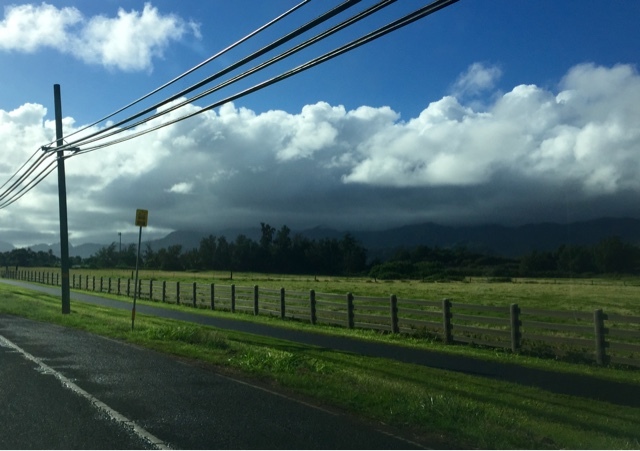 Happy Aloha Friday. Contest is on! 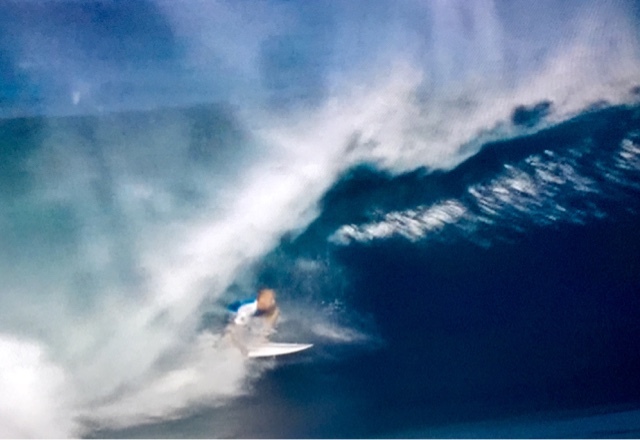 My pic to win world title is Mick Fanning. It's a story book in the making from all he has been through this year. He has the right mindset and attitude plus he rides Wade's boards. Go Mick! 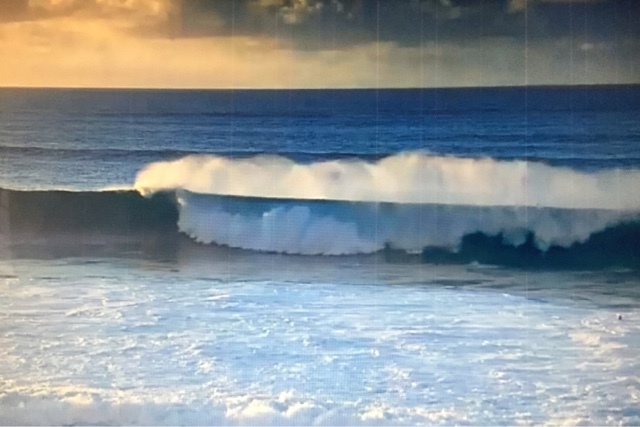 More big waves coming to our north shore. 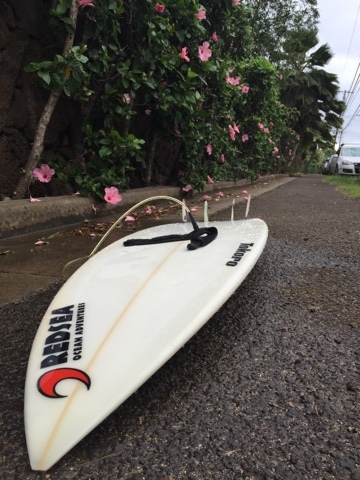 Ready to ride my new board. 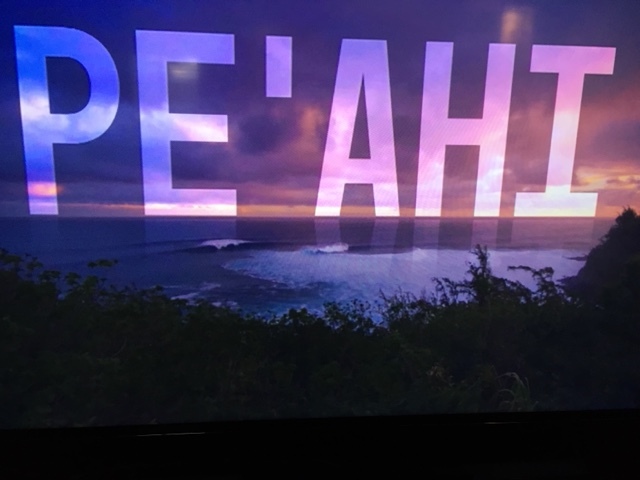 Mahalos Wade! Surf and winds came down so took the Red Sea boat out for a quick spin. 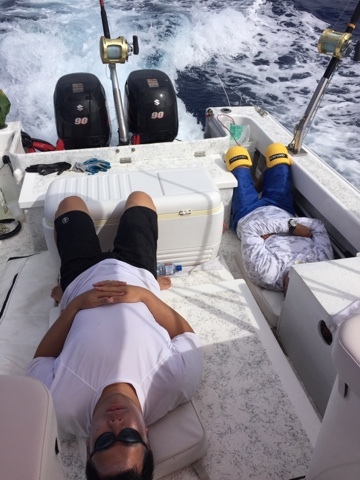 My crew Kekoa and Al, today taking a power nap before the action began. 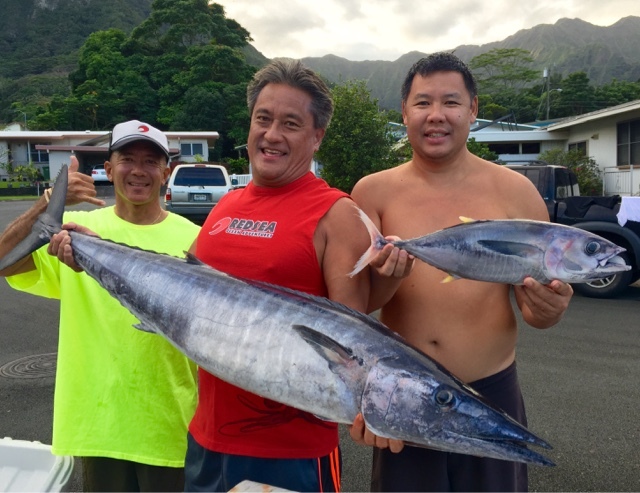 No Ahis today but got a nice fat Ono instead. Got our dinner and headed in early. 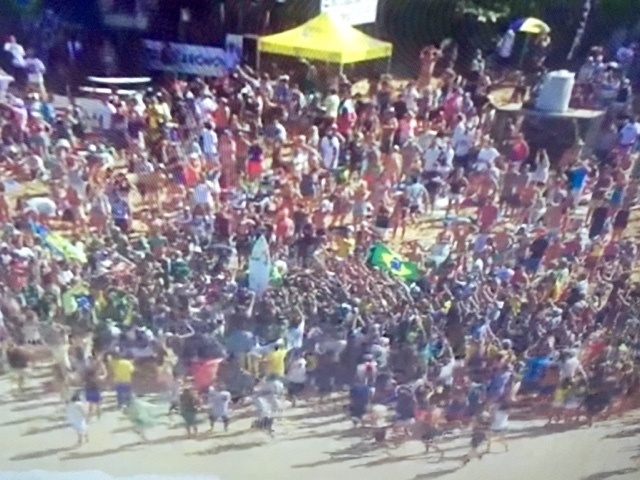 Super Bowl of Surfing On! 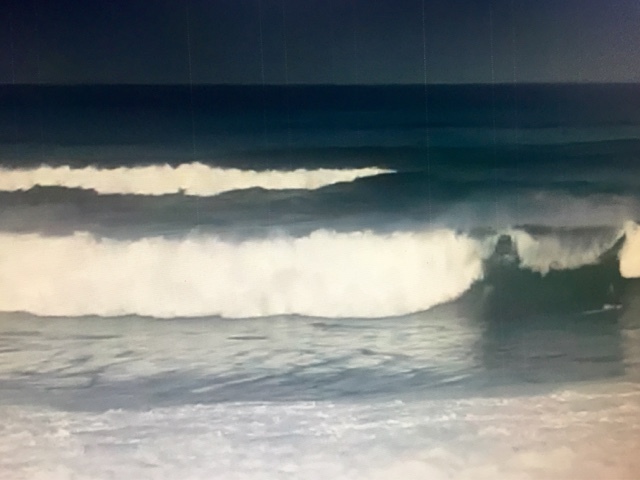 Wsl XXL is on! 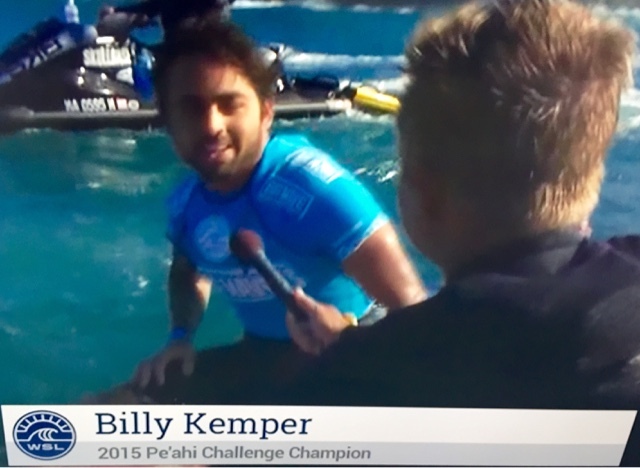 The peahi challenge is a historic day for big wave riders. 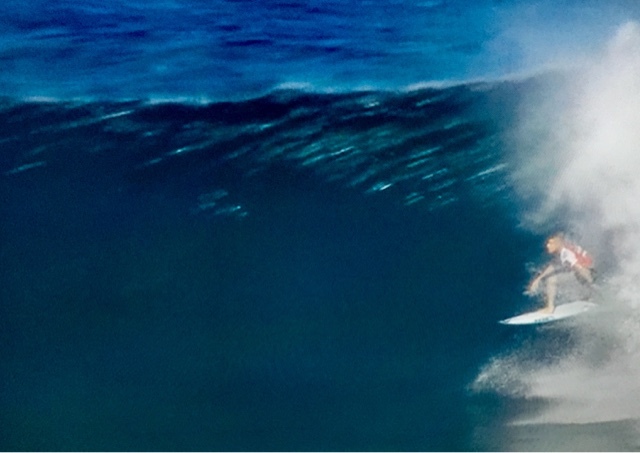 Shane Dorian warming up on a super late drop. He side slipped down the face as tons of whitewater crashed behind him. His fins engaged and he made it! Wow! 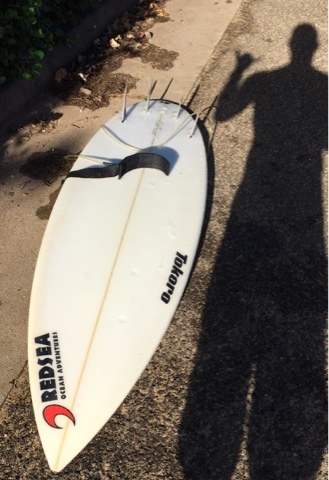 The new swell has arrived! 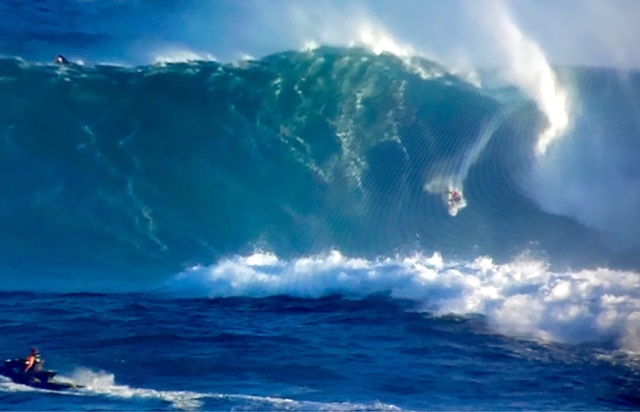 XXL contest on tomorrow at jaws. 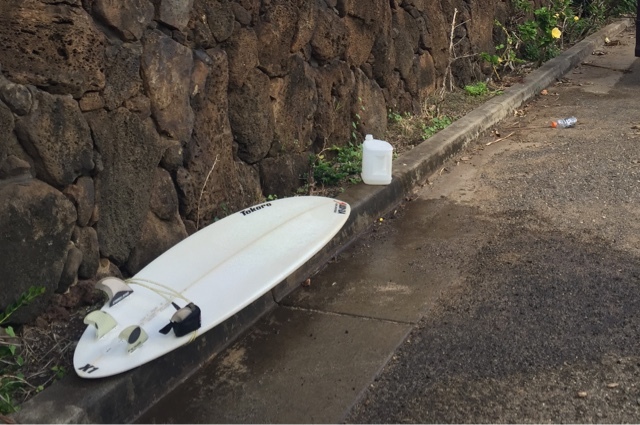 Another fun day surfing up north at one of my favorite spots where there is no shower, so gotta bring your own water. Good to see Timmy, Rick and David out in the lineup. Big swell on rise any moment. So nice to drive home with a view like this.